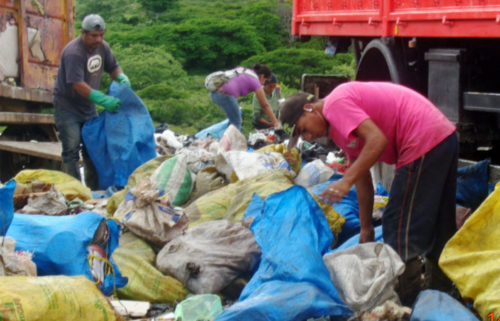 The Network of Nicaraguan Entrepreneurs of Recycling (REDNICA) promotes inclusive recycling in Nicaragua. It is seen as a development alternative, because it enables grassroots waste pickers to obtain technical skills to handle solid waste, acquire skills to transform solid waste into commercial products and by extension, improve the economic and working conditions of the profession. REDNICA will undertake the following activities in the years to come: promoting their development model, fostering education and strengthening organizational abilities and technical qualification (training) of grassroots waste pickers. Read REDNICA’s full development model REDNICA (in Spanish).